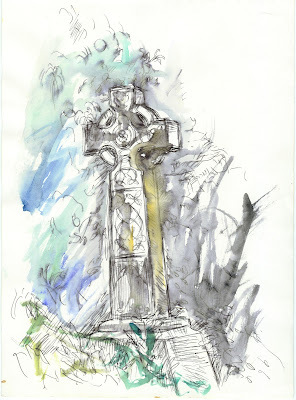 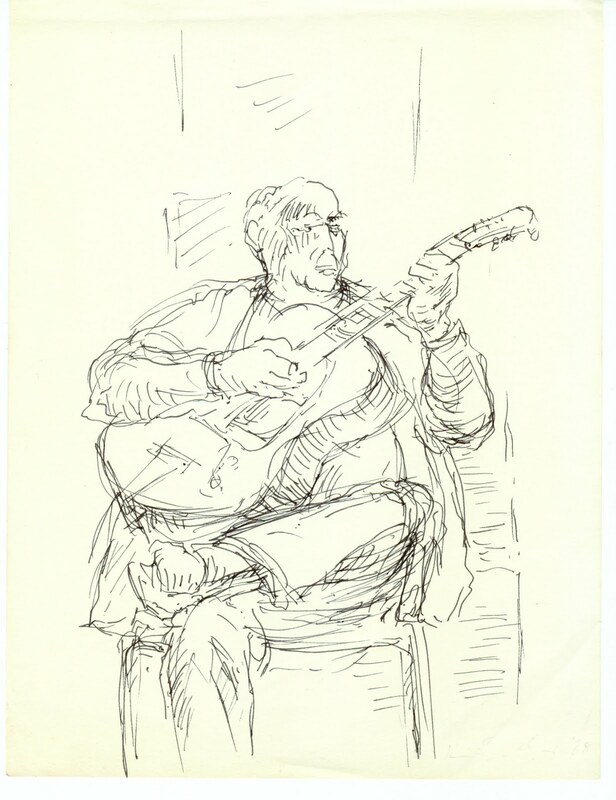 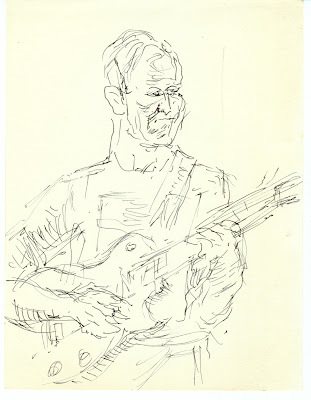 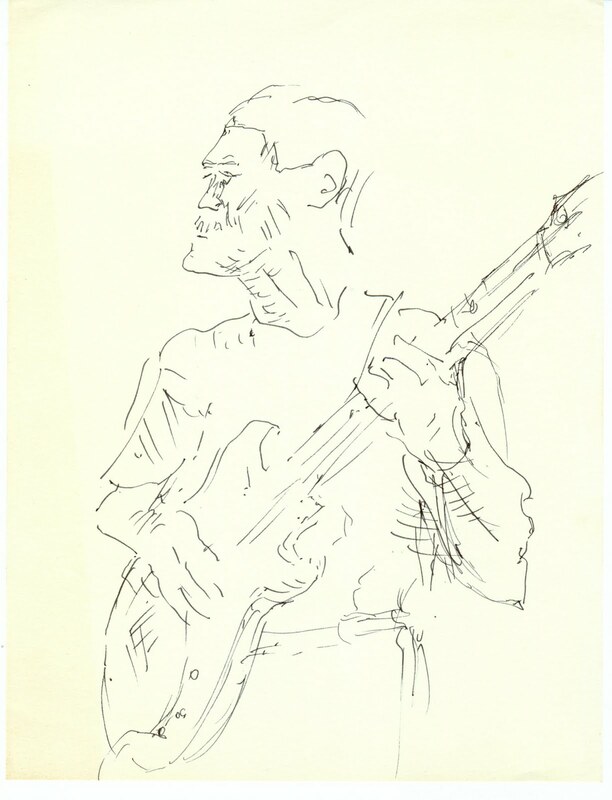 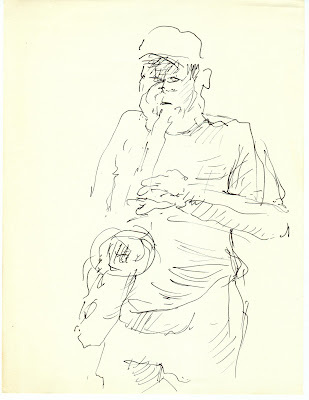 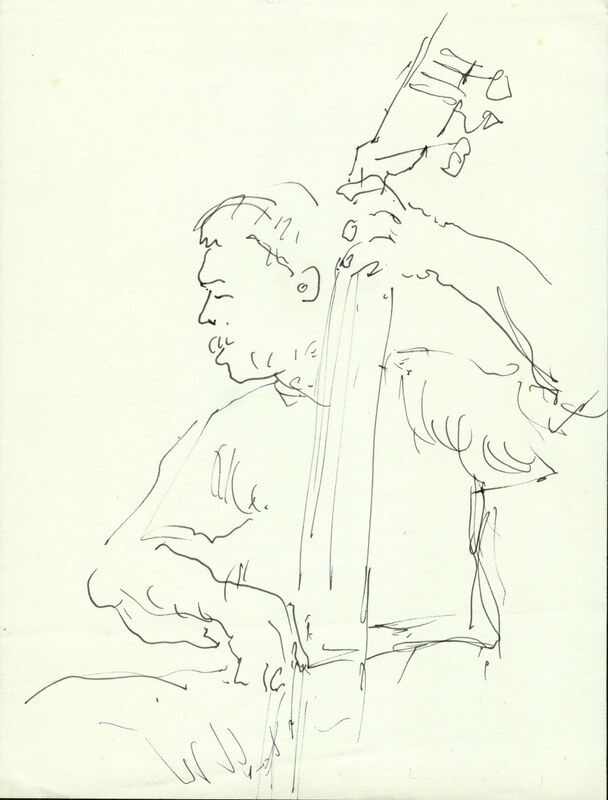 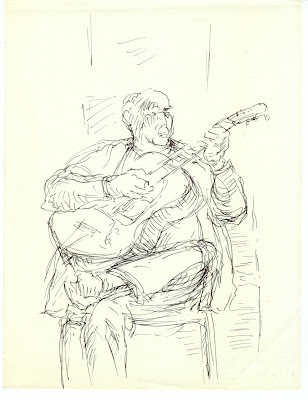 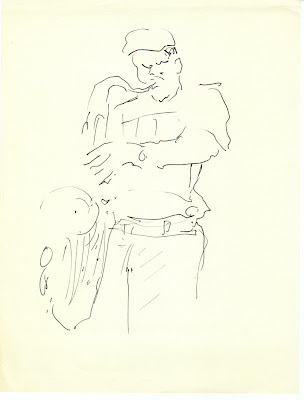 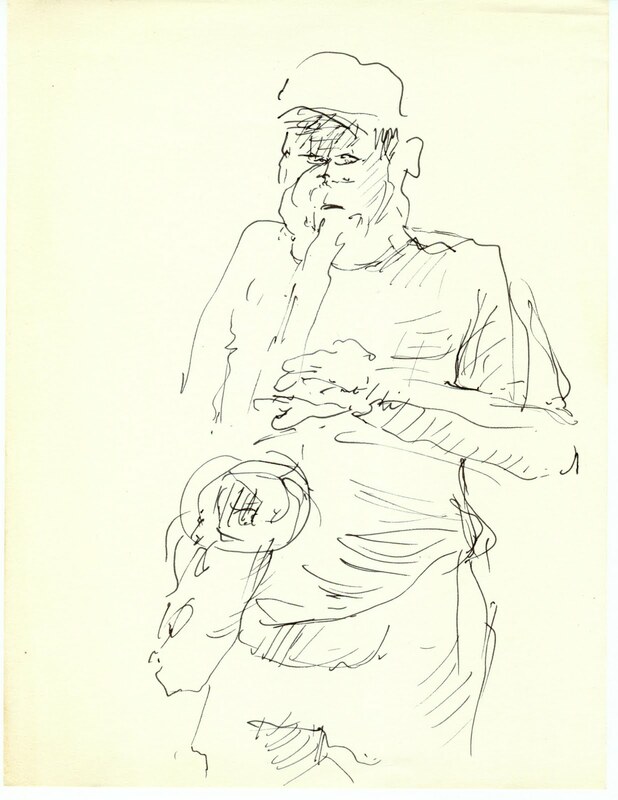 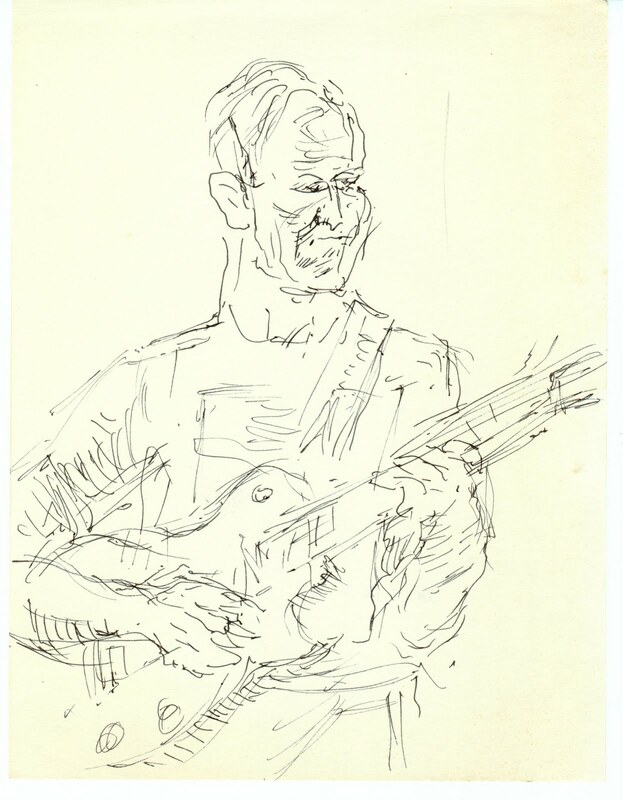 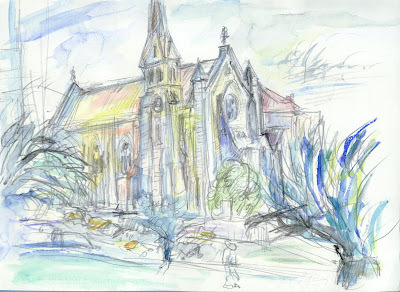 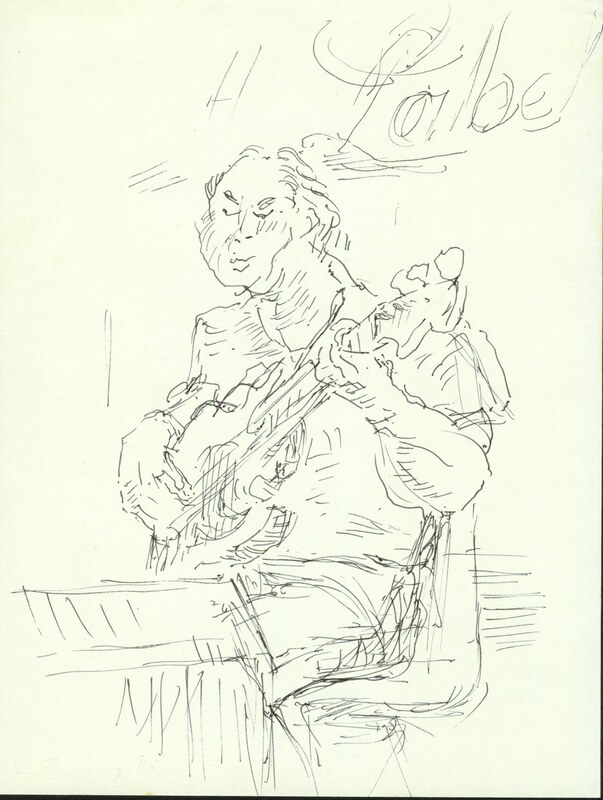 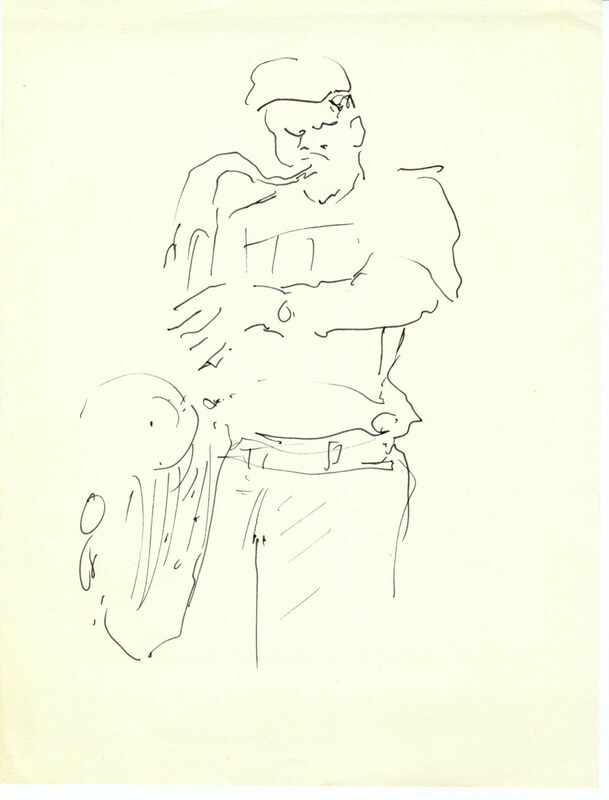 This is probably my last posting of sketches done in situ at jazz concerts in Port Elizabeth in the late-1980s. 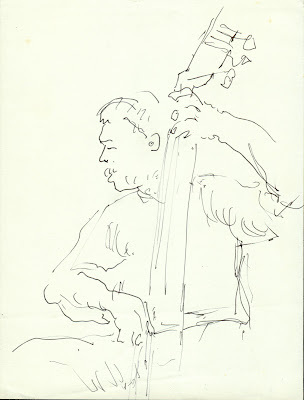 Most of these, I think, were done in the Feather Market Hall during a Carling Black Label-sponsored jazz show. 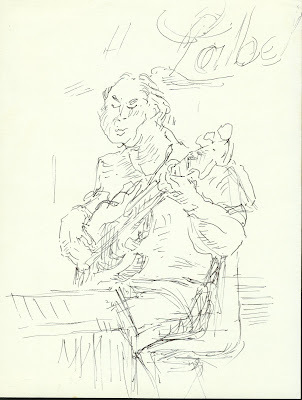 Note, here, the word "label" from the sponsors' signage. 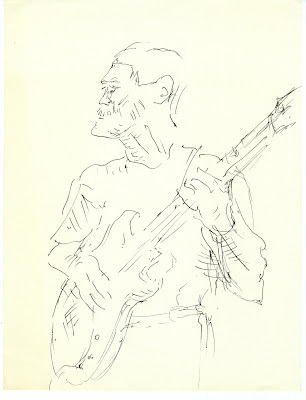 I rather enjoy this study of a bass player. 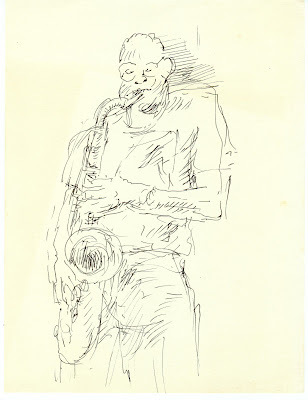 And the inevitable blast from a township saxophonist. 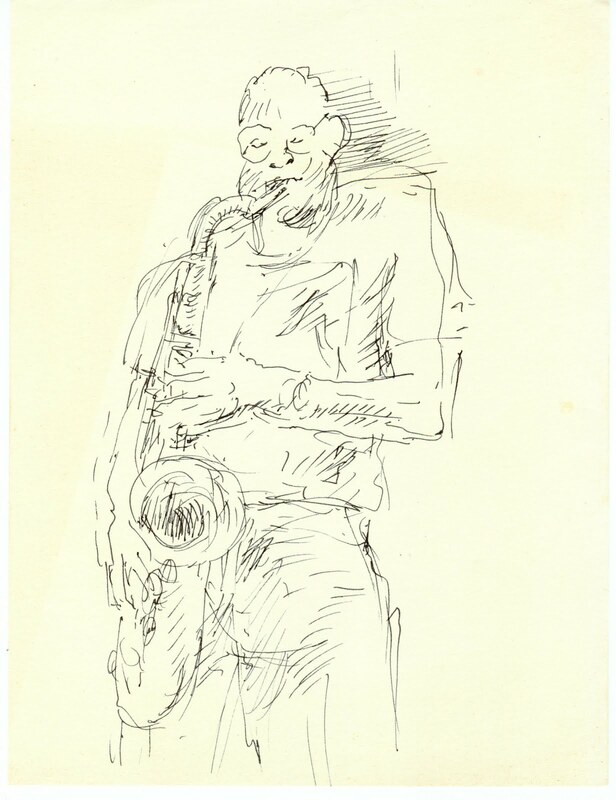 Improvisation on the old saxophone. 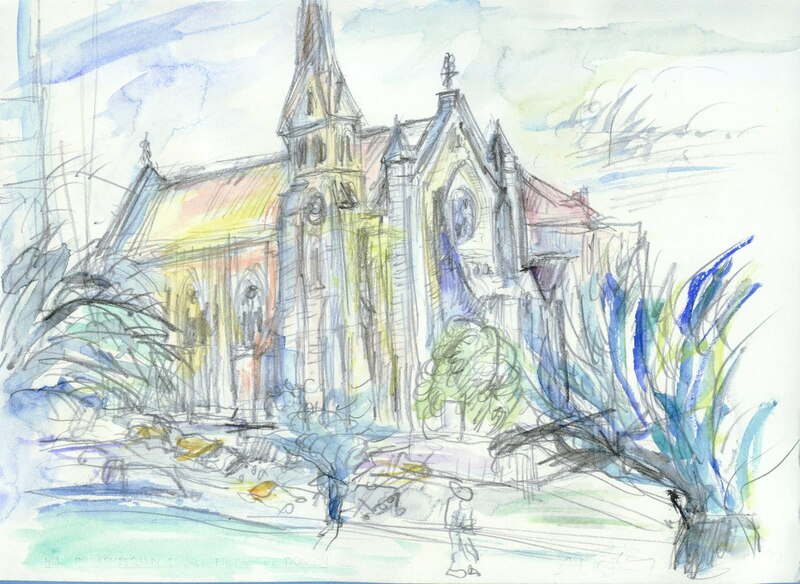 Then out onto the nearby Donkin Reserve, with a view towards the Hill Presbyterian Church. A gravestone, possibly in the cemetery in St George's Park.